Flipkart has kicked off its 3 days sales dubbed as Big Shopping Days. 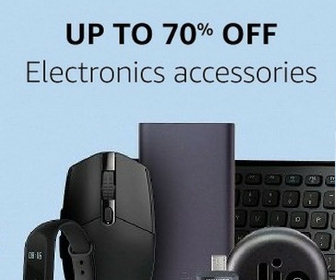 During this sales, the online retailer is offering up to 80% off on Electronics and up to 70% off on TVs & Home Appliance. So, there are several products you can buy at discounted prices. Along with discounted prices, you can also avail 10% additional discount on HDFC credit/debit cards.